Line 6 releases the new Sonic Port guitar system for iPod touch, iPhone and iPad; delivering guitarists unsurpassed audio quality and legendary Line 6 guitar tones for making music with iOS devices. Line 6 Inc., a manufacturer of innovative solutions for musicians, has announced the new Sonic Port guitar system for iPod touch, iPhone and iPad. Building on the success of the popular Line 6 Mobile In digital interface, the Sonic Port system delivers pristine audio quality, legendary Line 6 guitar tones and all the inputs and outputs needed to transform a mobile device into a studio-quality music creation system. 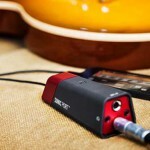 Sonic Port is a sleek, highly compact digital audio interface that connects to an iPod touch, iPhone or iPad 30-pin or Lightning connector, enabling guitar players to jam and record using CoreAudio music apps such as GarageBand, and gain access to the acclaimed Line 6 Mobile POD app. 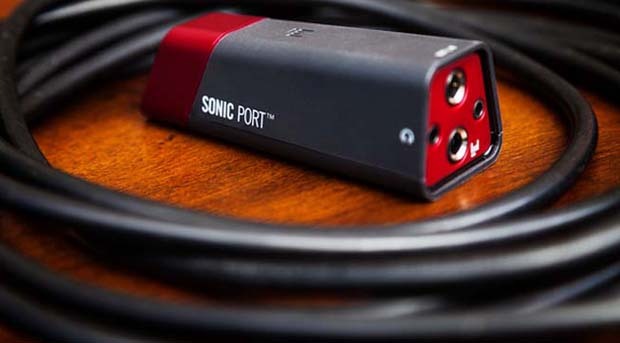 Unlike other devices that connect to the analog headphone jack of an iOS device, Sonic Port features an all-digital signal path resulting in best-in-class sound quality. 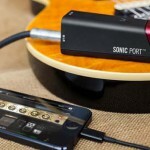 With 110dB of guitar dynamic range and up to 24-bit/48kHz audio quality throughout, Sonic Port allows musicians to get the most from CoreAudio music apps. 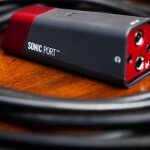 For forward-thinking musicians who want to use an iPod touch, iPhone or iPad as the centerpiece of a mobile studio or as a performance tool, Sonic Port provides a variety of inputs and outputs for connecting instruments and outboard gear. 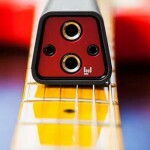 A 1/4″ input makes it easy to connect guitars and basses, while keyboards, mixers, CD players and other iOS devices can be connected via the 1/8” stereo input. For monitoring, users can simply plug in their headphones or powered studio monitors and enjoy unparalleled audio fidelity. Musicians can also connect to a guitar amplifier via the 1/4” guitar/line-level output. The companion Mobile POD app (available as a free download from the App Store) opens the door to an incredible collection of highly prized vintage and modern guitar gear. The app includes 32 amps, 16 speaker cabinets and 16 effects—all of which can be fully adjusted, mixed and matched to create a virtually endless range of tones. Mobile POD includes over 10,000 tone presets created by artists, Line 6 and other guitar players—and guitarists can also store and instantly recall their own custom tones. Thanks to a partnership between Line 6 and Jammit, Sonic Port instantly integrates with the award-winning Jammit app, allowing guitarists to learn, jam and record along with original multi-track master recordings of their favorite songs. 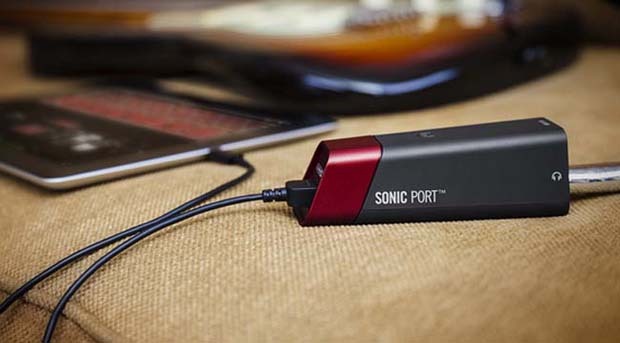 When used together, Sonic Port and Jammit form the ultimate jam-along experience. Each track can be isolated for closer scrutiny, looped for extended practice or slowed down to a comfortable pace for learning. When used with Line 6 interfaces, Jammit loads amp and effect sounds that are custom made for the song, automatically changing the sound when appropriate as the song plays. 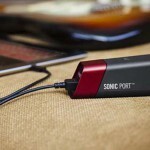 Sonic Port includes a detachable 30-pin dock connector cable and a Lightning connector cable for direct connection to iPod touch, iPhone and iPad devices. Mobile POD is a free download from the App Store. Sonic Port is compatible compatible with iPod touch (4th and 5th generation), iPhone 5, iPhone 4S, iPhone 4, iPad (3rd and 4th generation), iPad 2, iPad and iPad mini. Sonic Port is shipping starting this June.